I've effectively generated Piper Trilinear Diagrams, and can insert a saved .emf file from my machine into Word on my machine. 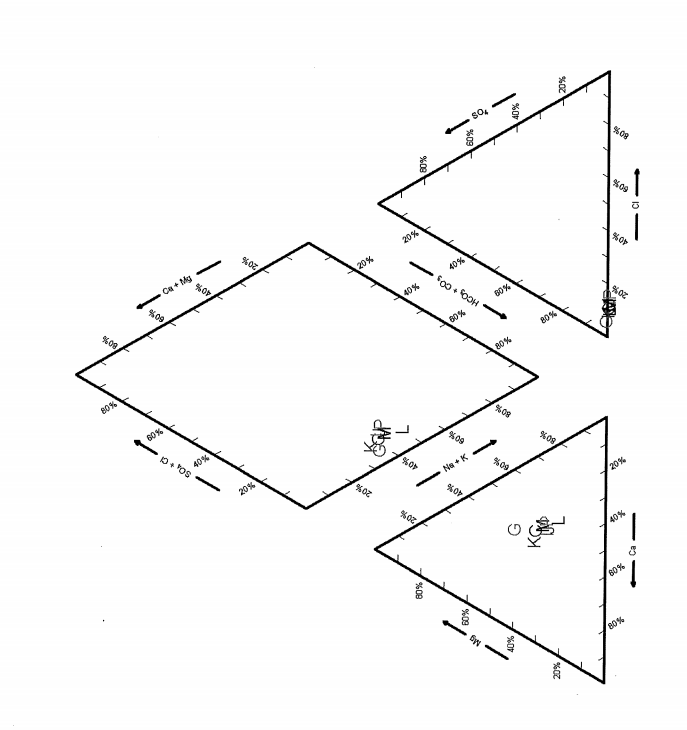 However, when I email this .emf file to a colleague, and they attempt to insert this same file into their Word, the symbols (e.g filled circles, triangles, diamonds) emerge as letters on the diagram. This is most disconcerting. The original .emf file is attached as a PDF, while the .png is what is being "seen" at the other end. I've tried exporting an EMF from AqQA and sending it to myself through both Google and Hotmail. In both cases, the image loaded fine in Word by going to Insert --> Picture. If you could send me your EMF, I'd be happy to try loading it into Word on my machine to see if we can reproduce the problem that way. Alison found that AqQA installs a true type font called AqQA Symbols. You can copy this font from a computer that has AqQA installed, or download and install the demo version of AqQA from the RockWare web site. A user working in AqQA 1.5 experienced missing symbols (which AqQA calls "markers") after a Windows 10 update last week. The "AqQASymbols.ttf" file was not visible in her C:Windows\Fonts\ folder. Re-installing AqQA did not solve the problem. We emailed her a copy of the "AqQASymbols.ttf" file, she saved to her desktop, then right-clicked on the TTF file and selected Install. She was warned that the font already exists, she confirmed the re-install, and the symbols now display in AqQA. It is possible that the Windows update deleted a registry setting which registered the TTF file, thus requiring re-installation of the font.